Jason Crane interviews saxophonist Kenny Garrett about his new CD, Sketches of MD (Mack Ave Records, 2008). This album features the paired saxophones of Garrett and Pharoah Sanders, who’ve performed together many times but never recorded live. 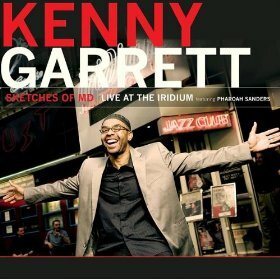 Garrett wrote all the tunes on the album, each of which draws inspiration from a sideman or groove concept associated with the Miles Davis band (the “MD” of the album title). Find out more at kennygarrett.com.